The Gorilla Foundation is a non-profit organization dedicated to the preservation, protection and well-being of gorillas and other great apes through interspecies communication research and education. Established in 1976 as a 501(c)(3) corporation, it is best known for “Project Koko,” the longest interspecies communication study in history, and the only one involving gorillas. It has evolved into an institution that provides a unique resource for great ape conservation, care and understanding. 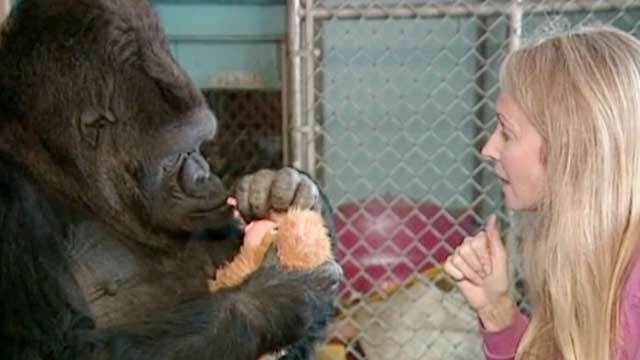 Meet Koko, the gorilla who understands sign language, and learn about the project to preserve her legacy.